We know, we’re still a few months away from getting the Christmas tree out and preparing that delicious Christmas dinner. 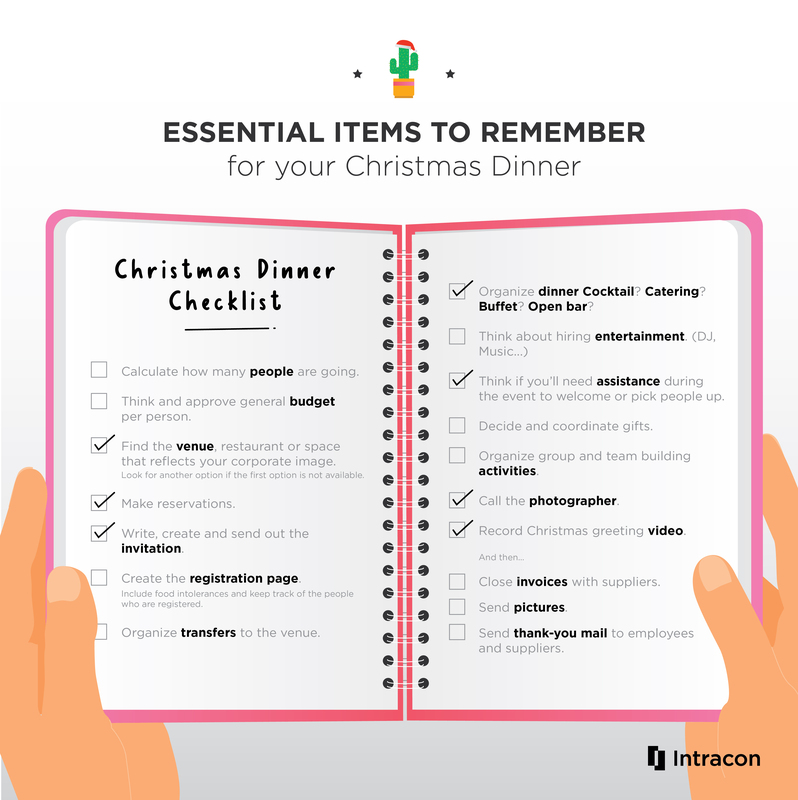 But foresight allows us to see that many companies (such as ours) already have their Christmas dinners organized. The people in charge of organizing these dinners usually want to ensure that they get the best restaurant, the best catering, and the best day to celebrate the holidays and welcome the new year. To make sure of this (and to avoid any disasters), they prepare the dinner way in advance. And as in all good preparation, having a checklist comes in handy. So, here goes: our Christmas present to you so you don’t forget anything and can celebrate a dinner worthy of being on a postcard. Feel free to contact our events department if you need some extra help organizing your Christmas dinner. If you think we should add something to the checklist, we also invite you to share it in the comments section.